Home | News | Join us for the Midwest Regional Summit! Join us for the Midwest Regional Summit! We invite you to attend the next stop for the 2011 Autism NOW Regional Summits! We will be at the Westin in Downtown Indianapolis, Indiana, on June 25-26, 2011. Register early. Space is limited. This free regional summit offers us a chance to celebrate the local and regional autism and intellectual and developmental disability community. This event also offers us the chance to share information and resources and to help build and further relationships between families, self-advocates, stakeholders, professionals, and people who are on the autism spectrum or have an intellectual or developmental disability. real-time closed captioning of all summit events and sensory-friendly spaces, lighting, and sound systems for people who may have sensory or auditory processing challenges. 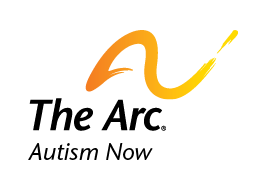 The Autism NOW Center, funded by the Administration on Developmental Disabilities and a national initiative of The Arc, gathers, organizes, and disseminates high-quality resources and information related to community-based services that support independent living and self-determination, treatment protocols that promote community-based experiences, and evidence-based interventions. As a result, the unique voices and perspectives of the autism and intellectual and developmental disability community are critical to Autism NOW’s ability to identify what information and resources are really needed in the community. Whether you are a self-advocate, a person on the spectrum or with intellectual or developmental disabilities, a parent or family member, a professional, a support staff, or a stakeholder, your presence is crucial at our regional summits to identify how we can better serve the autism and intellectual and developmental disability community and to determine the future of the Autism NOW Center. To find out more about this event, please visit our event page. Or just REGISTER NOW. Recommend this content Join us for the Midwest Regional Summit! Date posted: June 8, 2011. Content created by The Autism NOW Center. Last updated: March 21, 2018.